You are currently browsing articles tagged Sustainable seafood. If you try to minimize the environmental impact of the food you eat, you likely know how tricky it can be to source sustainable seafood. The first step in this epic plight is to visit seachoice.org, where you’ll find a downloadable wallet card of Canada’s Seafood Guide. The card places seafood into three different categories: best choice, some concerns or avoid. On the SeaChoice website, you can also search the database for specific items, geographical areas and methods of capture. Bluefin tuna has been so heavily over-fished that the World Conservation Union lists southern bluefin tuna in its grouping of most threatened wildlife. Their numbers have declined by 97 per cent during the last four decades. 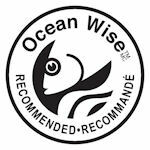 You can even download drop cards to leave in your favourite stores and establishments, urging them to offer sustainable seafood choices. However, if you’re visiting a Fairmont hotel or resort, you won’t need to drop any hints. The international chain recently announced it will remove threatened fish species, such as Chilean Sea Bass, a. k. a. Patagonia Tooth, and Bluefin Tuna, from its restaurant menus and align itself with reputable seafood watch organizations (such as Canada’s SeaChoice). Fairmont will also make it easier for guests to make informed food choices by identifying responsible seafood choices on its restaurant menus. Now, if only the federal government would help ensure seafood in stores and markets is as well-labelled as it will be in Fairmont restaurants! The David Suzuki Foundation has just launched a campaign that hopes to push us in that direction by calling on federal government officials to implement stricter seafood labelling regulations. The foundation is calling on concerned Canadians to send letters asking that Canada create national seafood labelling requirements that allow Canadians to make responsible sustainable seafood choices to: the Minister of Fisheries and Oceans, Gail Shea; the Minister of Agriculture, Gerry Ritz; and the president of the Canadian Food Inspection Agency, Carole Swan. Visit davidsuzuki.org and then click on “Conserving our oceans” to send these letters in the click of a mouse. The foundation also encourages concerned citizens to share their letters with local seafood restaurants and grocery stores so that seafood retailers know what their customers are looking for. In support of the BC Spot Prawn Industry we have a very good sustainable prawn fishery. Our product is much in demand as it positively addresses the concerns of sustainability in an often maligned seafood industry. The posts and pages on this site attempt to show all aspects of the world prawn/shrimp industry and how we as consumers are affected. It is not as though we go out of our way to choose non-sustainable products. Largely it is a slick marketing scheme that shows the finished product much differently than its origin. Price often is a factor. This Coffee House blog touches on sustainability and a link to a Prawn Consumer Guide. The majority of prawn harvesting techniques and resulting available products that we find in local markets are less than acceptable to consumers today. Our spot prawn by trap fishery is recognized worldwide as an acceptable, recommended and responsible fishery that provides a high quality product. BC Prawns are choice. Support our local industry.